We need to back up. For those unfamiliar with the trilogy, Mr. Mercedes began in 2009 with a rabid killer, Brady Hartsfield, stealing a grey Mercedes and plowing into a line of helpless people attending a job fair – killing eight and injuring many more. The third book, End of Watch also starts on that day, though from a different lens that track two emergency medical technicians arriving at the carnage site to pick up a horribly-damaged woman, providing a powerful symmetry before pivoting back to the present. 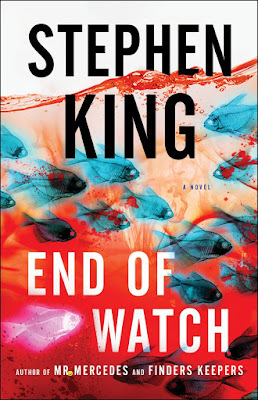 (If you cannot read the three books, you could skip Finders Keepers, even though for plot and character development I think it is the best novel in the series as a crime thriller, but not essential for reading End of Watch). For understanding the troubled background and the malevolent power of the mass-murderer, Hartsfield, reading Mr. Mercedes is essential. A retired detective, Bill Hodges, with the assistance of the autistic, computer savvy and quirky Holly Gibney, collar Hartsfield just as he was about to blow himself up at a rock concert packed with teenagers. It was Holly who stopped Hartsfield, memorably smashing his head with a ball-bearing-filled sock that left him in a vegetative state. Incapable of standing trial, he has appeared to dwell in a “twilight world” at a local brain injury clinic. End of Watch picks up the narrative where Mr. Mercedes left off – six years later. Hodges suspicions are reinforced when reports of other suicides start coming in and hospital staff report strange occurrences around Hartsfield. Hodges is convinced there is more to his old enemy than Brady’s blank stare suggests. Knowing that the private detective firm of Finders Keepers will not likely receive much assistance from the police, Hodges and Holly investigate the case on their own. It’s going to take Hodges time to make the connections but he does not have much, as he’s just discovered he has pancreatic cancer and that this will likely be his last investigation. The terrible pain he feels that is viscerally described is likely drawn from King’s personal experience while recovering from the car accident that almost killed him. 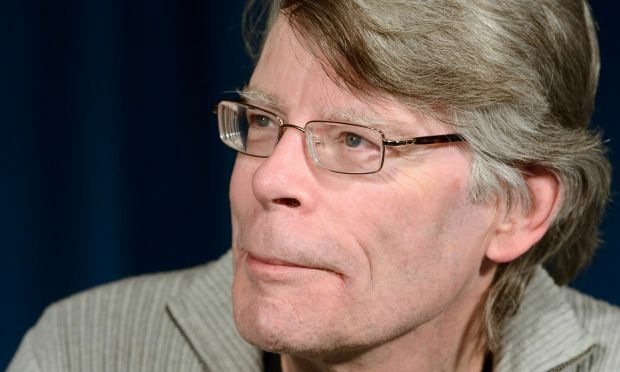 King enjoys updating both classic motifs and themes he has explored in his earlier novels. A Dr Felix Babineau, the unethical neurosurgeon, has been experimenting secretly on Hartsfield – à la Frankenstein – by injecting him with brain drugs causing him to develop telekinetic powers, reminiscent of the eponymous protagonist in King’s earlier Carrie. Hartsfield’s body may be immobilized but his brain is fully operational. His psychic powers enable him to enter and manipulate the minds of others by transferring his consciousness into them and controlling them like zombie drones. King did something similar in his novel Cell, in which people turned into crazed zombies when they answered their mobile phones. Able to exploit his computer prowess, Hartsfield reprograms an innocent looking kid’s game called Fishin’ Hole on the Zappit tablet into a demonic brainwashing programme. Anyone looking at the demo becomes hypnotized by its brightly coloured fish, whereupon Hartsfield commands them to kill themselves. And even more malevolently, he has plans to target all those kids who attended that concert years earlier, thereby igniting a suicide epidemic. The ability to engineer mass suicide in End of Watch has historical and contemporary resonances. It recalls the cult leader Jim Jones’ suicidal followers. Perhaps more relevant is the viral spread of ideas and behavior online. King describes the power and peril of our hyper-connected world through the voice of Hodges: “You can find anything on the Internet. Some of it is helpful. Some of it is interesting. Some of it is funny. And some of it is . . . awful.” Later, he articulates how Internet troll culture can damage the vulnerable. “Ordinary fears, the ones kids like this live with as a kind of unpleasant background noise, can be turned into ravening monsters. Small balloons of paranoia can be inflated until they are as big as floats in the Macy’s Thanksgiving Day Parade.” King’s depiction of the game Fishin’ Hole, and the lemming-like responses of vulnerable people, mostly teenagers, who are susceptible to its deadly subliminal message feels plausible. It is significant that King adds an author’s note at the end to give the number of a real suicide hotline, and the novel is full of cautionary tales about vulnerable teenagers pushed past the brink. One has only to think of the tragic case of the British Columbian teenager, Amanda Todd, who committed suicide after revealing online that she was blackmailed into exposing her breasts and bullied online. Or think of how ISIS deploys computers to seduce damaged young men to commit acts of terror. Much of what I have outlined above falls generally into the crime/thriller genre. Mind control, or what I call psychic vampirism, has long been a staple of popular culture from novels and their film adaptations from The Manchurian Candidate to the Ipcress File, as well as the television series Doctor Who. 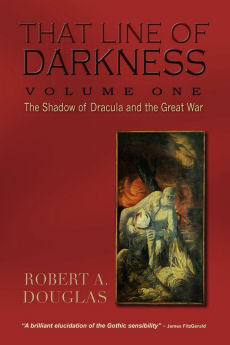 Although not from the same genre as the examples mentioned above, one of the best examples of psychic vampirism is Dan Simmons’ 1989 Gothic horror Carrion Comfort, in which vampires feed on others not through blood-sucking but through mind control. Anyone who did not possess a strong supply of inner resources could be overpowered and commanded to commit acts of violence. Carrion Comfort is closer in genre and spirit to what transpires in the second half of End of Watch whereby it is possible for Hartsfield to take the next step beyond computer manipulation: to control other minds as a prelude to inhabiting other bodies – à la Invasion of the Body Snatchers – thereby being free to continue his murderous career. Without giving too much away, I will quote one passage that conveys the first stage of this transformation. 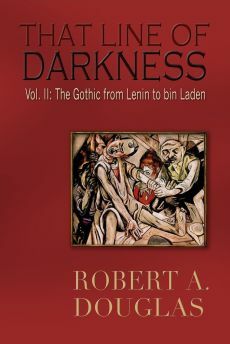 Needless to say, I cannot let you in on the second stage except that Hartsfield concocts a plan to deceive the police (and it does) and to set a trap for Hodges to exact his revenge, and that the scenario works if the reader accepts King’s premises. As End of Watch races to its pulsating conclusion, what better setting than a whiteout snow storm that turns out be instrumental in the resolution of the trilogy’s dramatic arc.